This February I’m sewing along with Male Pattern Boldness and a bunch of other talented seamsters. We’re all making men’s shirts. 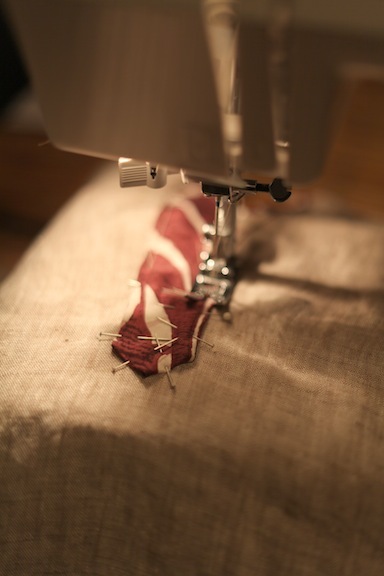 Mine is for my husband, and here’s a reflection on my efforts to sew well. Beginning to sew the actual Sew-Along shirt for my husband. And it’s begun: the sewing for the actual men’s shirt for this month’s Sew-Along. So far I’ve completed the left-breast pocket and the sleeve plackets. 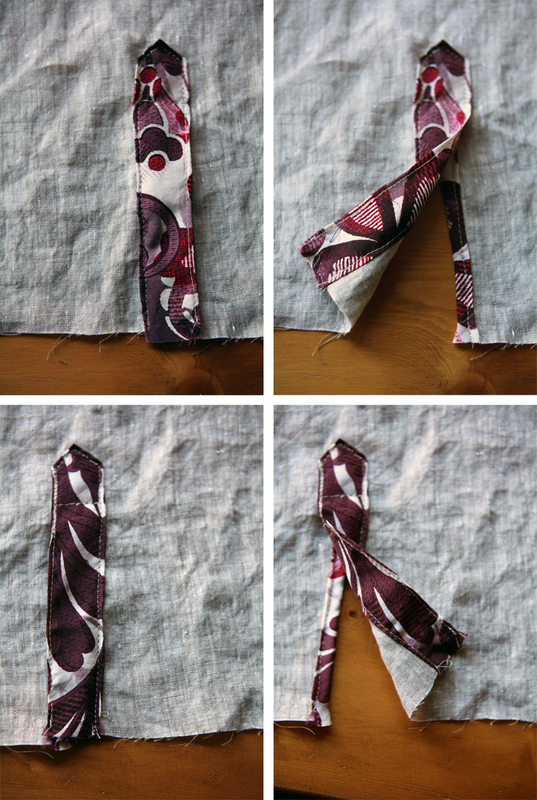 I used all the lessons that I learned from making the muslin. The biggest lesson that I learned with the sleeve plackets was to make sure to match the front and back of the placket so they meet at the same place and are equivalent widths. This time around I held the sleeve up to the light to make sure that both sides were the same. I then carefully pinned the placket peak. I found the silk hard to press in nice even peaks, so many pins were necessary. Then, all that was left was the topstitching. In sewing class I learned to use my blind-hem foot to make a nice edge stitch, and I’m very happy with the evenness of the stitching on the plackets. 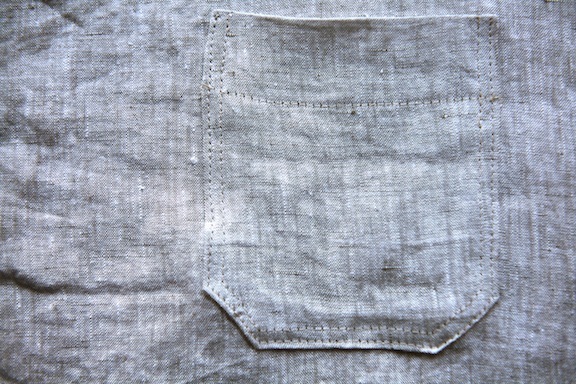 I made the sleeve plackets out of the silk, and I think the contrast with the linen is wonderfully striking. I didn’t think to cut the plackets from identical sections of the fabric, so one contains a bit of pink flower while the other is predominantly leaf. The pocket was straightforward. My husband chose to only keep the pocket over the left breast since that was how most of his ready-to-wear dress shirts are. Since the linen is a light heather silvery brown, I had a hard time choosing the right thread color. I ended up going with a light khaki color that blends much better than I expected. As with the sleeve plackets, I’m very happy with the topstitching. I took my time and stayed as even as I could. I now have the right interfacing, so I can being on the rest of the shirt. It might be tough to have it done by tomorrow, which is the last day of February and was my goal from the beginning of this project, but I will see what I can crank out tonight!